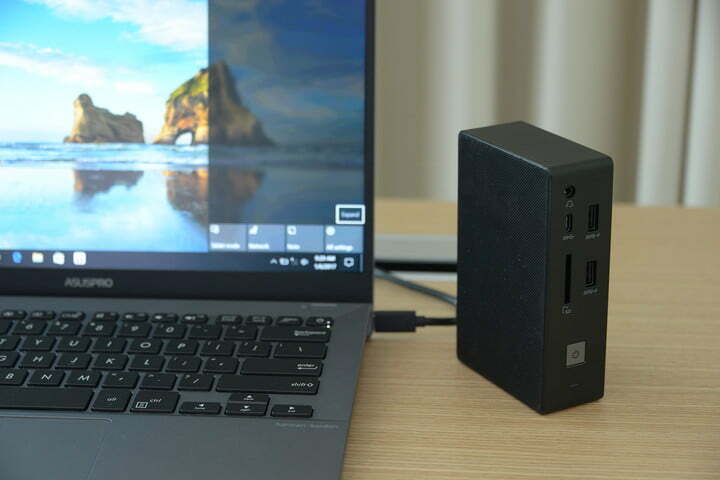 Asus produces a lot of machines on both its consumer and business side, but we usually only spend time with the less work-focused products. That’s not to say the Asuspro line isn’t competitive, but the systems are usually a little drab, and have features that focus on productivity. 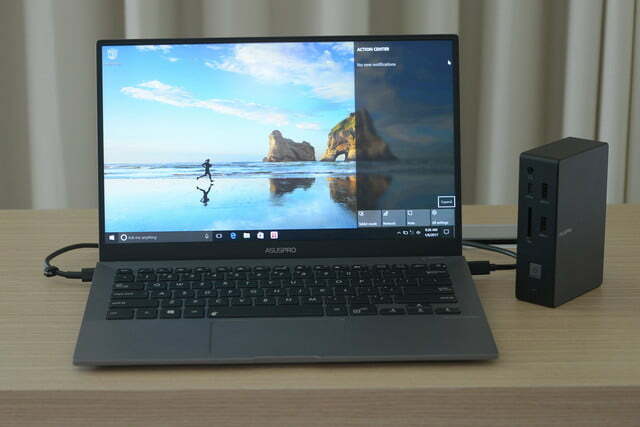 That’s not so with the Asuspro B9440, which is meant to offer the functionality and power features typically reserved for company computers, to anyone who just needs to get things done. It does so by adding important work features, including VPro and TPM, and putting them in a chassis that’s both attractive and ergonomic. There are, however, a few compromises required to find common ground between the two disparate worlds of computing. We’ll see if those are enough to tank the otherwise ambitious and intriguing Asuspro B9440. Draped in increasingly popular magnesium alloy, the Asuspro B9440 doesn’t give off that stodgy “business only” laptop vibe we’re used to seeing from other brands. 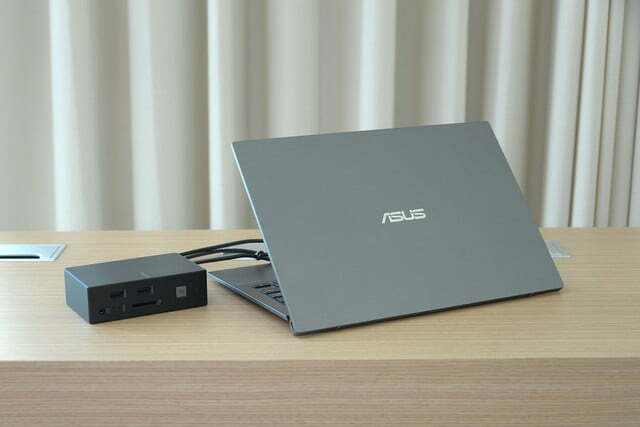 In fact, the team at Asus says this is on purpose, as an attempt to bring the Asuspro line to more consumers who might need an extra kick. It’s also impressively light, at just 2.31 pounds. The Asuspro is built from the ground up to pass military specifications for durability. The B9440’s screen is a 14-inch, 1080p matte panel, which is a great fit for working under those bright office lights. 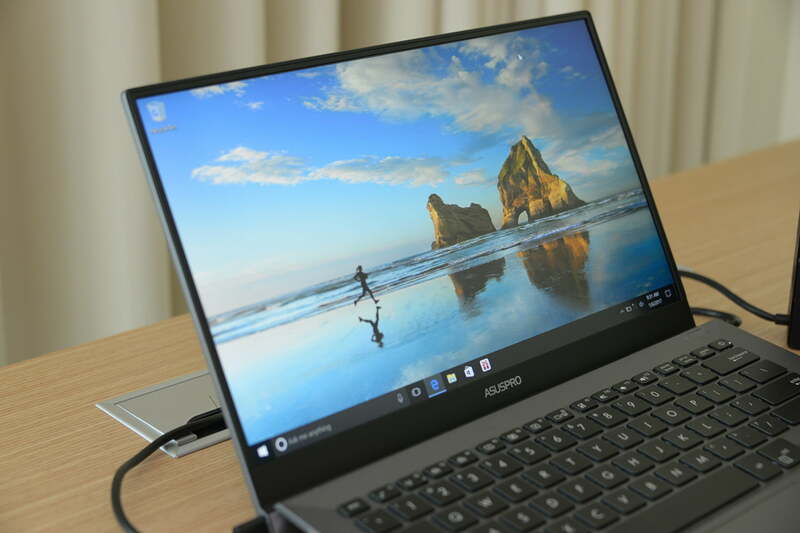 We’re starting to see higher-resolution panels offered more consistently on higher-end laptops, but the FHD route means better battery performance, and the narrow bezels on each side means the B9440 fits in more or less a 13-inch notebook footprint. The tradeoff is that there’s no webcam, so keep that in mind if you often find yourself needing one for teleconferencing. Despite the competitive weight and undersized chassis, the Asuspro is built from the ground up to pass military specifications for durability, passing drop tests, hinge tests, lid pressure testing, and keyboard spill resistance. You can feel that sturdiness when you pick the system. It’s tough enough that we wouldn’t worry about tossing it in a travel bag, or taking it a conference. It’s a good thing they tested the aforementioned hinge to 50,000 cycles, because it’s an important part of the B9440’s identity. As you open it, the bottom of the screen props up the back of the keyboard by about an inch and a half, tilting the screen back and the keyboard towards you. It’s a nice touch that business users are going to feel in their neck halfway through that international flight. 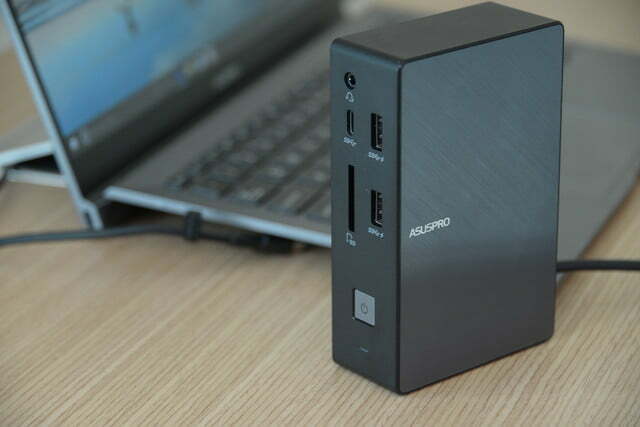 Because business users often need a little more kick than something like the Core M chips found in the UX305 series can provide, the Asuspro B9440 offers a choice of Core i5 or Core i7 chips, with optional vPro. We’ve grown fond of the Core M chips for light use and everyday drivers, but a Core i5 chip helps when you’ve got a lot running at once, or you have to reach for Photoshop, or other heavier software. Beyond that, users will have their choice of 8 or 16GB of LPDDR3, a common choice for higher-end laptops, although the option for a bit more is one we don’t see as often. The memory is paired up with a 512GB M.2 PCIe or M.2 SATA SSD. It isn’t clear which is in the starting build, but either way, system boot-up time is snappy, and we didn’t notice any slowdowns loading up big applications. 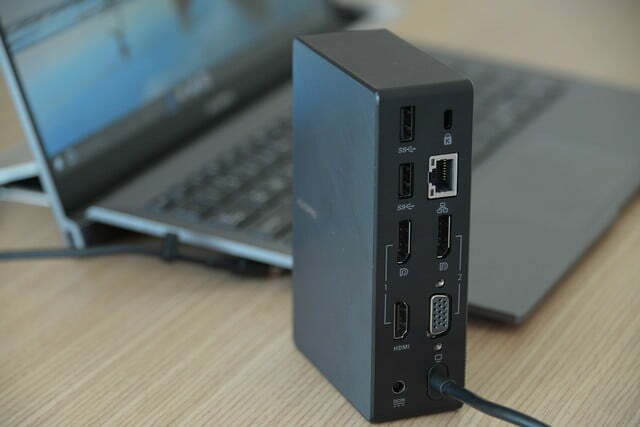 For extra security, the B9440 is fitted with a fingerprint sensor for Windows Hello, and a TPM 2.0 module, should your workplace require the extra layer of protection. The integrated Harman Kardon speakers sounded great too, in our limited testing. The only notable absence here is once again the lack of a webcam, so no Windows Hello facial login. Some users won’t miss it at all, but for others it’s a deal-breaker. 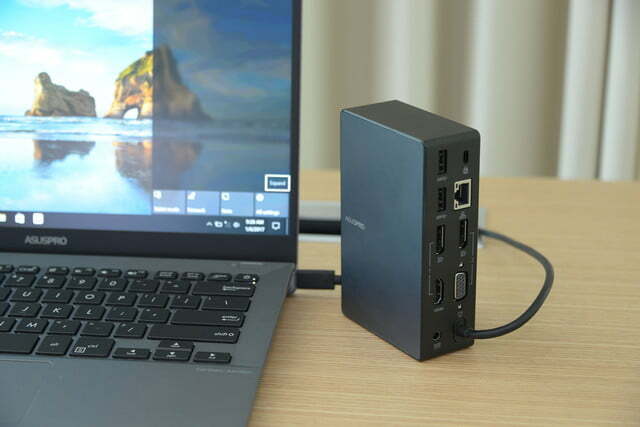 For connectivity, Asus offers a pair of USB Type-C ports, one on each side. 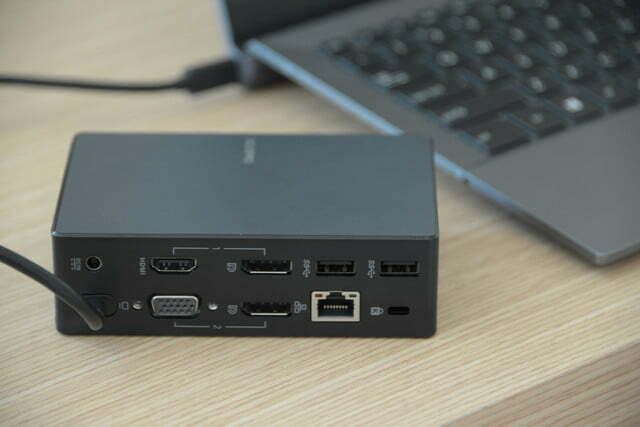 That’s definitely a carry-over from the consumer side of the design, and may cause a lot of users to have to shell out for a dock. 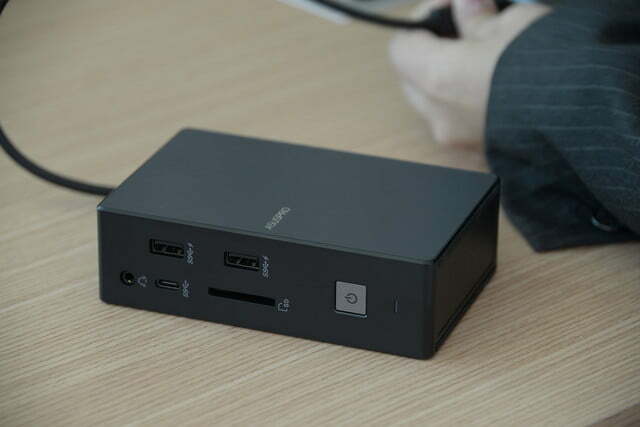 Battery time is at a premium for business travelers, so Asus has fitted the B9440 with a 48 watt-hour battery. 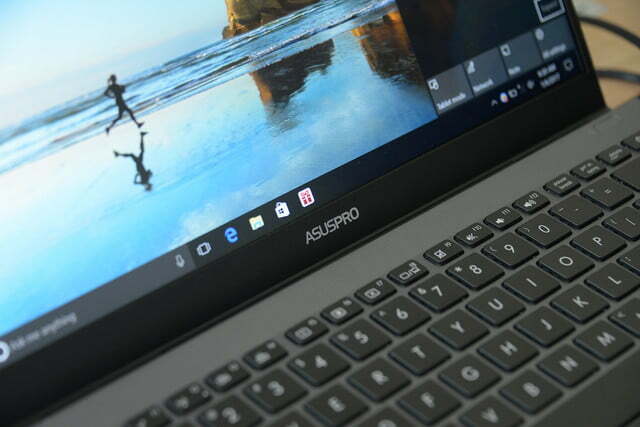 Asus quotes battery performance at 10 hours, although we have a feeling it doesn’t quite reach that promised number. Still, the new Intel chips are constantly growing less power-hungry, and we expect decent longevity from a system with its capabilities. 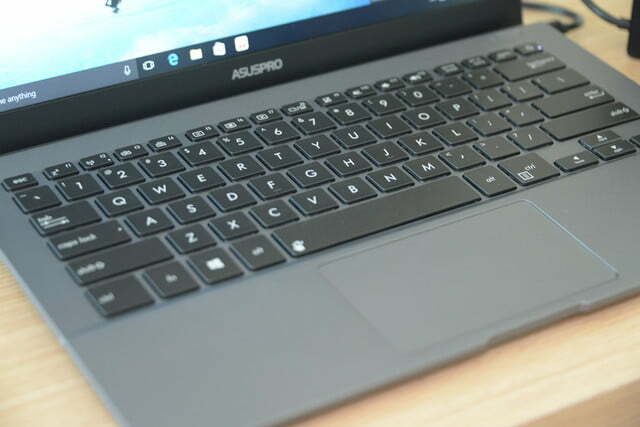 Perhaps best of all, the Asuspro B9440 starts at just $1,000, putting it within spitting distance of some our favorite laptops, such as the Dell XPS 13. 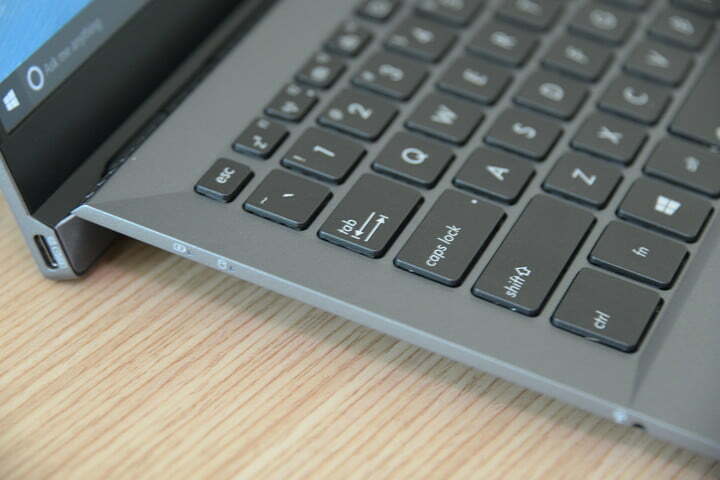 While the specifics of that starting configuration aren’t clear, one thing is – that’s a very budget-friendly price for a work-ready laptop. And it doesn’t skimp on the sort of features everyday users are also looking for in a laptop. The ergonomic hinge is a boon to anyone who sits down at their system for long stretches, and the sturdy construction means you can take it with you without worry. Between the competitive performance, comfortable ergonomics, and likely impressive battery life, the Asuspro B9440 is a system that we’ll definitely be keeping an eye out for when it hits the market in May of 2017.